Turkey's last prime minister was on Saturday chosen as the ruling party's mayoral candidate for Istanbul in a bid to ensure the country's biggest city remains in its hands after 2019 elections. Binali Yildirim, who served as prime minister between 2016 and 2018 under President Recep Tayyip Erdogan, had been the clear favourite for the Justice and Development Party (AKP) role. 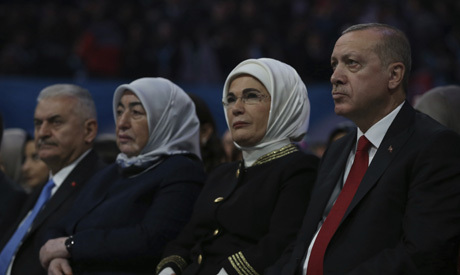 He was the last premier of Turkey before the parliamentary system was officially replaced with an executive presidency with Erdogan at the helm in July. AKP chairman Erdogan, a former mayor of Istanbul, introduced Yildirim as the candidate for the March 31 vote during a televised ceremony. The president once reportedly told his party: "If we lose Istanbul, we lose Turkey." The key city is home to over 15 million people out of a population of over 80 million. Yildirim, who was made parliamentary speaker after elections in June this year, has been a loyal servant of Erdogan having previously served as transport minister. The 63-year-old was born into a poor family in a village in the eastern province of Erzincan and later became a maritime engineer. He was tapped by Erdogan in the 1990s to run the city's ferry company and has also served as a lawmaker for Istanbul. Last year Kadir Topbas, who was the AKP's Istanbul mayor for 13 years, was replaced as Erdogan sought to refresh the ruling party before national and local elections. The main opposition Republican People's Party (CHP) recently announced Ekrem Imamoglu as its Istanbul candidate. He is currently mayor of the city's Beylikduzu district. And in an indication the opposition believes there is a greater chance of winning the Ankara mayorship, the CHP said its candidate for the capital would be Mansur Yavas. He previously ran for Ankara in a very tight race against the incumbent, the AKP's Melih Gokcek who quit three years later in October 2017 on the "orders" of Erdogan.